By Al -- Let’s say you are in the market for a new-ish presentable car…you want something that won’t scare women and children, but you want something that might be fun. 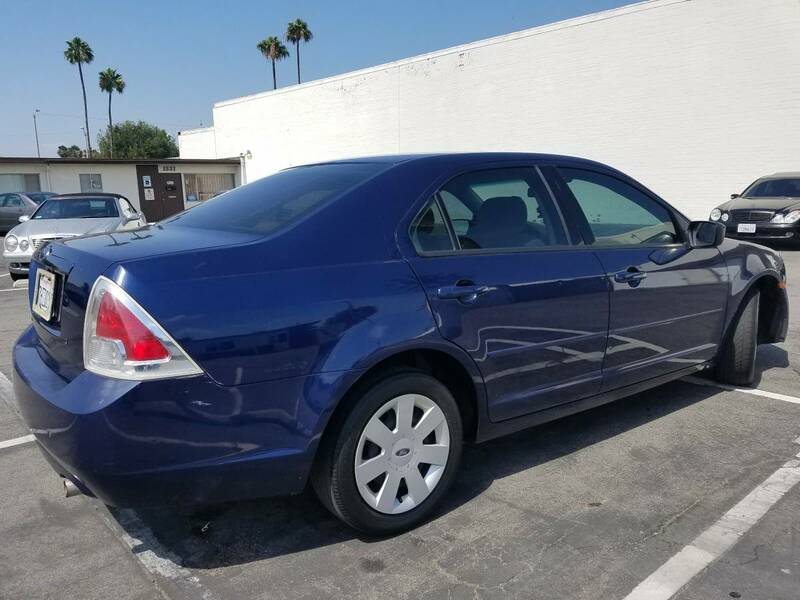 You want some sort of sporty sedan…with a manual transmission that won’t ruin your chances for career advancement. This lovely blue 2006 Ford Fusion SE 5 speed for $2995 in Costa Mesa, CA with only 122,486 miles will scratch that itch. The shot from under the hood shows a very clean engine bay with ArmorAll slathered on all the plastic bits. Usually this type of under hood detail would point at a professional flipper, but unfortunately no phone number is provided to research the owner. The engine is a Mazda 23EW with 160hp and 159 lbft of torque (according to Wiki) which should move the 3280 lb car around adequately. The manual transmission will make sure most of driving enjoyment makes it to the wheels, and won’t be sucked up running an inefficient (and joy zapping) automatic transmission. 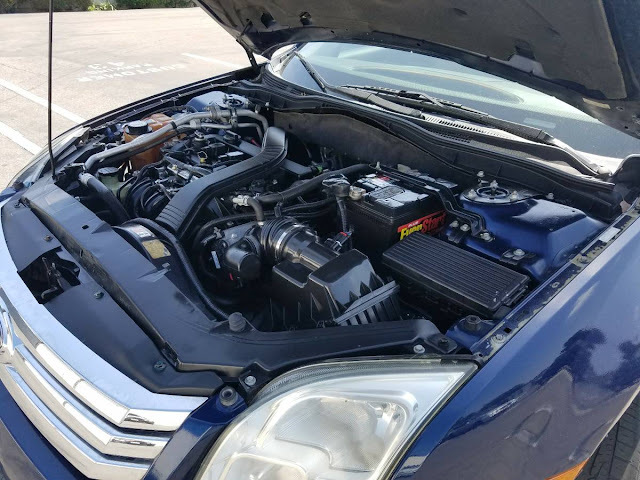 Looking for engine parts in the autozone website confirms that the car has a timing chain, which hopefully means it is good to go for another 80k miles without problems. Thankfully most newish cars today have done away with a timing belt that needs regular replacement. 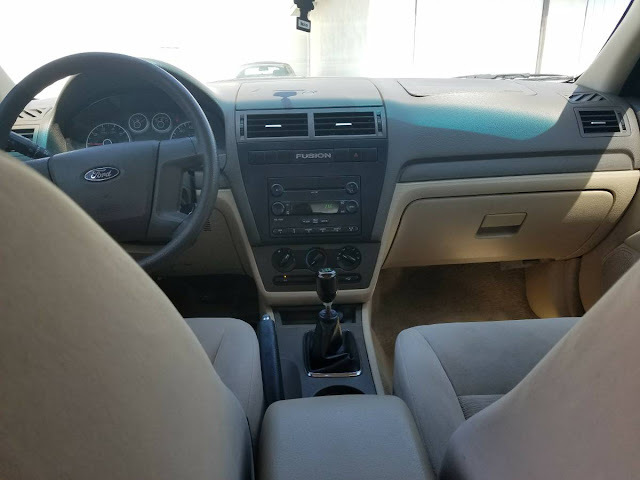 The interior shows a nice neutral tan interior. 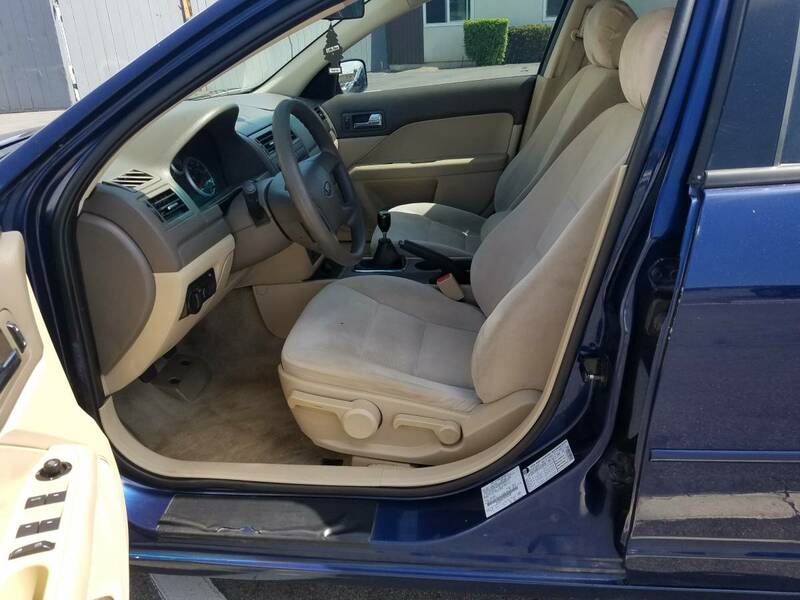 The driver seat isn’t ripped, but the seat foam does look a little mashed down…not bad for 10 years old. A close look at the dashboard near the passenger side airbag shows that maybe the foam on the dash is curling up due to sun exposure. Not a big deal as long as nothing is wrong with the airbag. 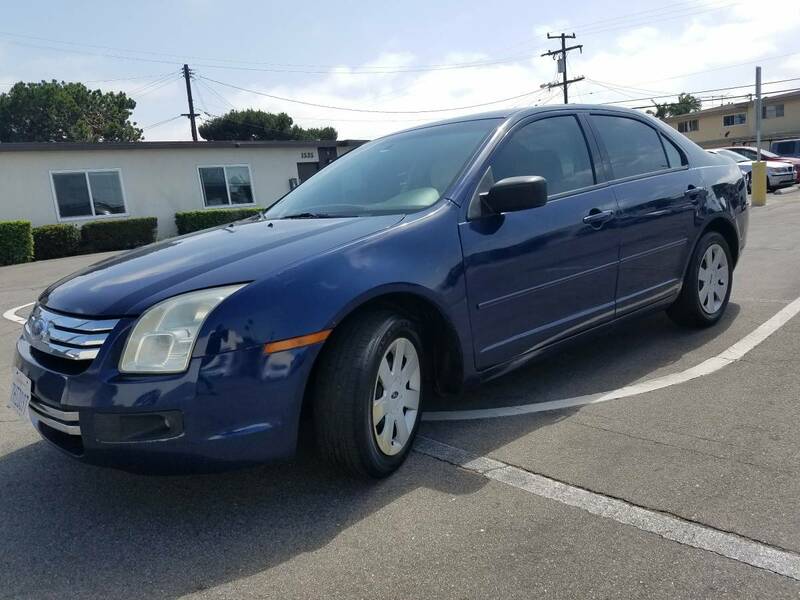 As with all used cars I buy from craigslist, I insist on a smog check from the current owner…this car claims to already have a smog check which is a plus. If it passes smog, I can ASSume the engine is more or less in a decent state of tune. Front rotors are about $50 bucks at autozone, clutches $250. The tire rack site shows dozens of suspension options…H&R springs for $231, Koni front struts for $131 even coil overs for $1085 bucks. Assuming the AC works, and assuming traffic in your area doesn’t dissuade you from driving a stick…this car is the bees knees.